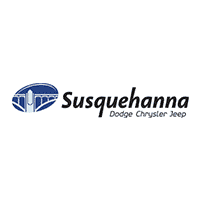 Susquehanna is the area’s only RAM Certified Agriculture Dealership. This means that we understand that as a farmer, your business is different. We appreciate the deep roots that farming has in our community, and we stand ready to offer farmers something that no one else can – a partnership that understands your needs and delivers on those at every level. As a farmer, when you buy from Suquehanna you receive the Ram AgPack at no cost. The Ram AgPack includes $2,300 subscription to Agrible’s Grower Bundle including a 1 year subscription to the full suite Morning Farm Report Field Forecasting Services; $1,000 toward AgroLiquid Crop Nutrition; and 10% off CropCopter AG DRONE technology. For more information about Ram Agriculture, simply fill out the contact form below and one of our knowledgeable truck specialists will reach out to you. Or simply give us a call at 717-252-2803 and ask about the Susquehanna Ram Agriculture Package.